This is a guest post by AutoCAD expert Edwin Prakoso. You can find this and other AutoCAD tips on his website here. 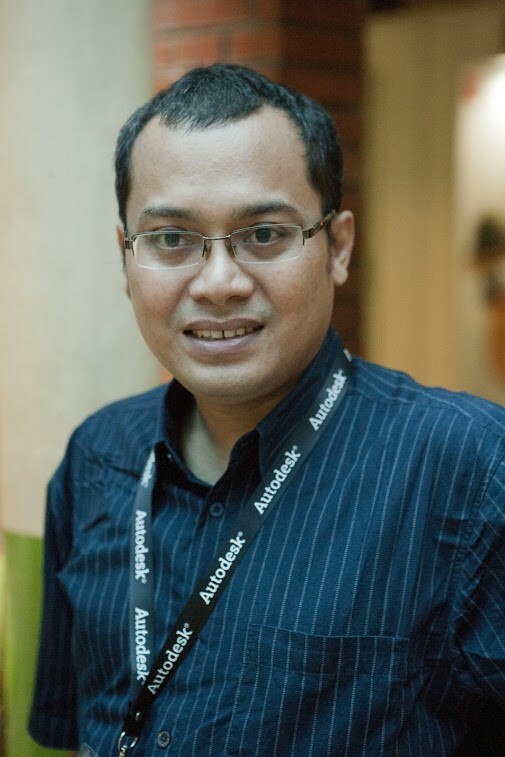 Edwin Prakoso works as an Application Engineer in Jakarta, Indonesia. He’s been using AutoCAD since R14 and Revit since Revit Building 9. 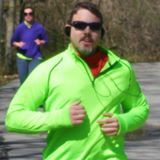 He occasionally writes for AUGIWorld magazine and is also active in the Autodesk discussion forum. He’s an Autodesk Expert Elite, certified as Revit Architecture 2014 and an AutoCAD 2014 certified professional. 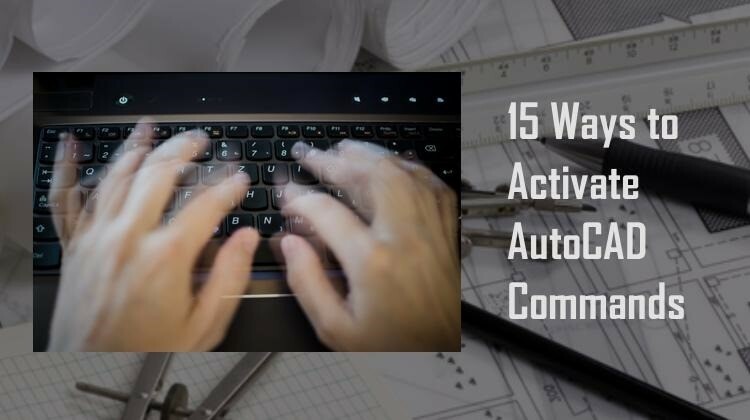 One common question that I get is how to access AutoCAD commands quickly. AutoCAD is 30-year-old software. People used it before it ran on Windows. It was designed to run on different operating systems and different standard interfaces that are used today. That’s why there are many methods to access AutoCAD commands. One method may be faster in general, but another method can be faster when doing other tasks. 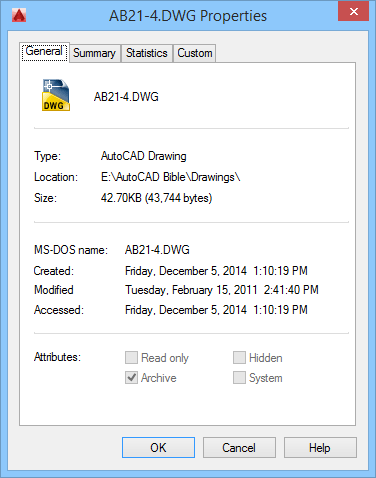 For example the command line is faster for most AutoCAD users for activating a line command. But Function keys are faster to toggle Ortho mode. 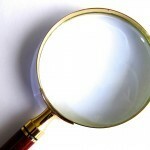 It would be better for you to know all methods, so you can decide which one works best for you. So let’s explore all the methods that you can use to execute AutoCAD commands and see how you can use them effectively. The ribbon was introduced in AutoCAD 2009. If you learn AutoCAD after this version, you probably use this as primary method. I found that many occasional users also like ribbon. 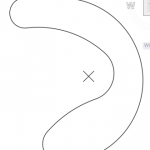 Many AutoCAD veterans don’t like ribbon, because it’s a big change from toolbar to ribbon. It feels slow (personally I feel it becomes better in later version) and take too much screen real estate. This is the most apparent way to activate a command in latest version. Even if you’ve never seen AutoCAD in your entire life, you know you can activate a command from here. First set the layer that you want to use for your solid fill. The hatch will go on the current layer. On the Home tab in the Draw panel, click Hatch. The Hatch Creation tab appears. If you have one closed area, you can just click inside it to pick an internal point. If you want to select an object, you can click Select in the Boundaries panel, as you see here. Then press Enter to end selection. Press Enter to end the HATCH command. I thought I’d tell you about the FILL command. This command (which controls the FILLMODE system variable) can show or hide solid fills. Its original purpose was to help your computer run faster if you had lots of solid fills. Nowadays, that isn’t usually a problem, but turning off solid fills can sometimes help you see your objects more clearly. Just type fill and press Enter. Then choose On or Off. Type regen to see the change. Warning! If you turn off fills, they don’t plot! So be sure to turn them back on if you turned them off for ease of editing. The SOLID command is an old command that’s rarely used now because using the Solid pattern of the HATCH command is much easier. It was the original way to fill a closed area with a solid fill, hence the word “solid.” It’s not related to 3D solids, although if you create an object with the SOLID command and give it thickness, it creates surfaces with tops and bottoms. You can only use SOLID for straight-edged objects. First create the object and turn on object snap for endpoints and whatever else you’ll need. Type solid and press Enter. then start specifying points in a zigzag fashion. After the 4th point, you’ll get prompts for the 3rd and 4th points over and over until you’re done. You continue to create adjacent triangles in this way until the shape is solidly filled. Press Enter to end the command. If you found this post useful, please use the Share buttons below so that others can learn as well! Now that the trivia contest is set, let’s get into it. It’s really very simple. You need a closed polyline to use it. Access the list of objects snaps — by pressing Shift and right-clicking or using the list on the status bar. You can also use the keyboard shortcut, GCE. Choose Geometric Center and click to specify the start of the line. End the line wherever you want. 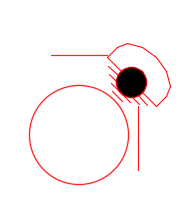 One cool point is that the geometric center doesn’t have to be inside the polyline. In this example on the right, the X marks the geometric center of the closed polyline. The 1-minute video below shows an example of drawing a line from the geometric center of a closed polyline. Are you going to use this new object snap? How will it be useful to you? Leave a comment! There is a lot to cover, so Lee suggested that we split it up. Part 1 covered changes to the user interface and 2D drafting. Part 2 (this post) covers annotation and external file changes. In Part 3, we’ll talk about new 3D and CAD management features. There is a lot to cover, so Lee suggested that we split it up. We’ll start with changes to the user interface and 2D drafting. Part 2 will cover annotation and external file changes. 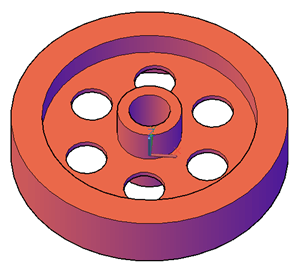 In Part 3, we’ll talk about new 3D and CAD management features. Suppose that you want to rename some text labels. For example, you have some part numbers that start with G- and now you want them to start with J- or you want to change every instance of “box” to “rectangle”. Choose Annotate tab, Text panel, Find Text, and enter the text you want to find in the Ribbon’s text box. Then click the Find Text button or just press Enter. 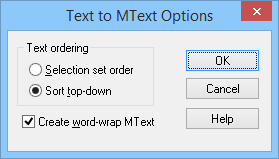 The Find and Replace dialog box opens with the text you entered in both the Find and Replace text boxes.